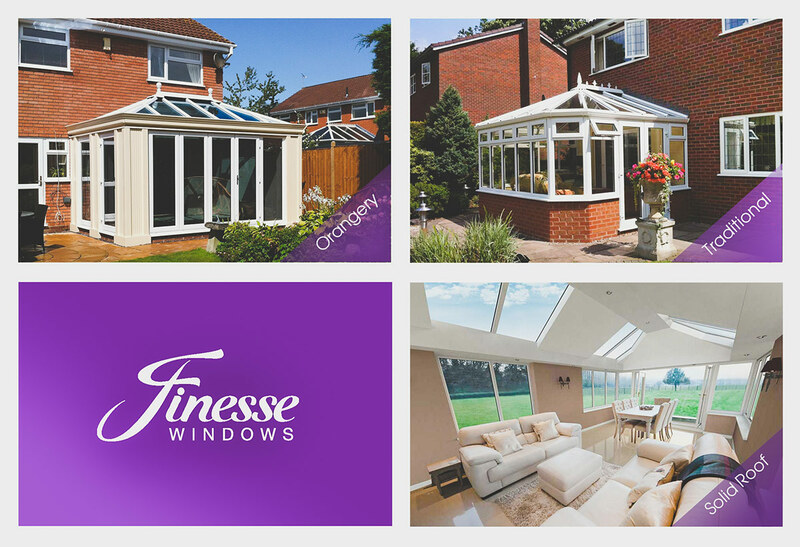 This is a visual we designed and published for Finesse Windows to showcase their three main types of conservatories. It was published on their Facebook page as part of their monthly social media management package. To create this engaging visual for Finesse’s Facebook page, we selected three of their beautiful photographs and pieced them together along with their logo to create a grid-based visual that not only showed their product offering, but also promoted their brand. We incorporated hints of purple to ensure the images matched their brand identity with clean white text over the top to make certain it was easy to read for all users of Facebook, whether they were browsing via phone, tablet or desktop computer. This post went down a treat and it’s just one example of taking important content from the client and crafting it into an attractive social media post. Create a visual to promote their 3 main styles of conservatories.